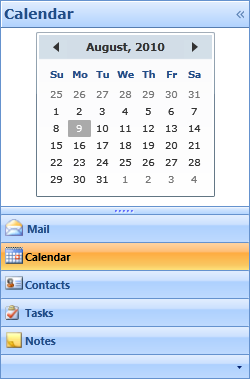 VIBlend WPF Outlook Pane delivers the Outlook navigation bar to your applications. 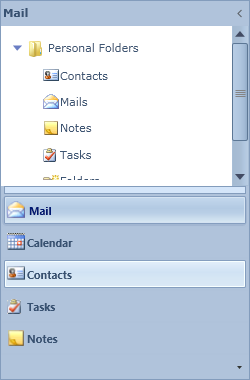 The VIBlend WPF Outlook Pane control is similar in functionality to the Outlook 2010 and 2007 navigation bars. It is the ideal choice for building Office style user interfaces. VIblend Outlook-style navigation pane allows you to change the number of visible groups by dragging the grip separator. You can also access hidden groups through the overflow panel displayed at the bottom, and customize the control using a built-in menu accessible by clicking the arrow at the bottom right corner of the navigation pane.